These are the instructions on how to flash CPB firmware using YGDP Tool on CoolPad 7295C. Requirements: Your CoolPad 7295C should have atleast 20-30 percent of battery to perform the Flashing Process. 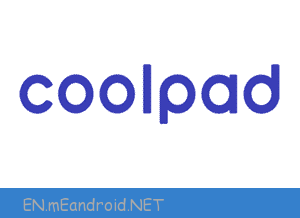 The firmware shared on this page is officially released by the company and helps you to recovery your CoolPad 7295C device if you ever got bootloop, software error, update error, hanging and dead issue. Step 1: Download and install the Android USB Drivers on your Computer. If Android Drivers is already installed on your computer then Skip this Step. Step 2: Download and install YGDP Tool on your computer. Step 3: Now, Open YGDP Flashing Tool (C:YLXZGJYGDPYGDP_Assembly.exe). Step 5: Now, enter the Password 369 or 9527 and click on Login button. Step 6: Once you are able to see the main screen of YGDP Tool, then click on the Configbutton. Step 8: Now, Click on the Apply button. Step 9: Now, connect your CoolPad 7295C to the computer (make sure it is power off and battery installed). Step 10: Now, click on the Start Button to begin the flashing. Step 11: Once Flashing is completed you will be able to see green Upgrade Successfulmessage. Congratulations, Now your CoolPad 7295C is successfully running the Stock Rom you have Downloaded. [*] Take Backup: Take a Phone backup before using the YGDP Flashing Tool as because during the flashing process your personal data will be removed. [*] Always press volume up key from the device and connect to the computer then start the flashing process. [*] Compatibility issue: If YGDP Tool doesnt work in Windows 7, Windows 8 or Windows 10, in that situation right click on the YGDP_Assembly.exe > Properties > Run this Program in compatibility mode for Windows XP. [*] Credits: YGDP tool is created by Coolpad Inc, so full credits goes to them for the tool.